This timeless bracelet is from the popular 'Together Forever' collection from Thomas Sabo. The 925 Sterling Silver heart is set with diamonds. The design is combined with a Rose-Gold plated ring, engraved with the word "Together". 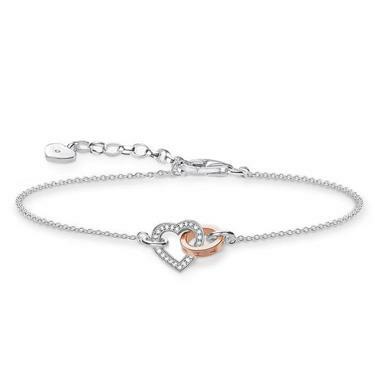 This interlocking bracelet is a sign of eternal love.